Bungie announced yesterday that their massive shared-world project Destiny will be release for the Xbox One. It looks like Destiny will be releasing on four consoles: the Xbox 360, Xbox One, PS3 and PS4. News of this future release was given by the official twitter for Destiny. Destiny is shaping up to be a very engrossing game in it's own right, made even more so with their cooperative play philosophy. Design Director Joe Staten has shared that the core philosophy behind the cooperative play in Destiny is based around player interaction and sharing an experience. Ultimately, Bungie is making sure that they have learned from the success and pitfalls of the Halo series, and are using these lessons as building blocks for the creation of Destiny. The creative team at Bungie is also making sure that the world of Destiny is rich and unique in it's heritage and mythos. As we covered previously, the center of the game focuses around the Frontier, with civilizations spread throughout a solar system. Protected by the Traveler, something came along and ended the golden age of peace in the solar system. As a guardian of the last safe city on Earth, it is up to you to protect your home. 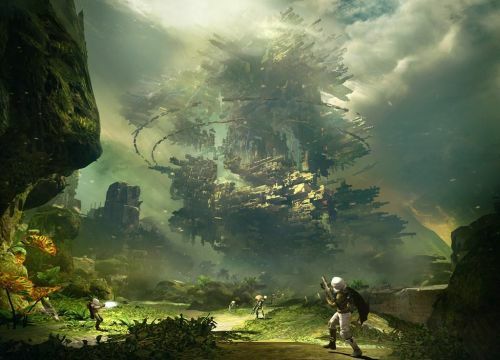 Destiny promises to be a masterpiece in both gameplay and in world immersion. The release date in unknown at this point in time. We will bring you more news as it develops.